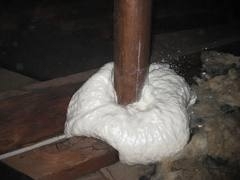 Sealing bypasses (cracks, gaps, holes), especially around doors, windows, pipes and wiring that penetrate the ceiling and floor, and other areas with high potential for heat loss, using caulk, foam sealant, weather-stripping, window film, door sweeps, electrical receptacle gaskets, and so on to reduce infiltration. Sealing recessed lighting fixtures (‘can lights’ or ‘high-hats’), which leak large amounts of air into unconditioned attic space. Installing/replacing dampers in exhaust ducts, to prevent outside air from entering the house when the exhaust fan or clothes dryer is not in use. Protecting pipes from corrosion and freezing. Providing proper ventilation to unconditioned spaces to protect a building from the effects of condensation. 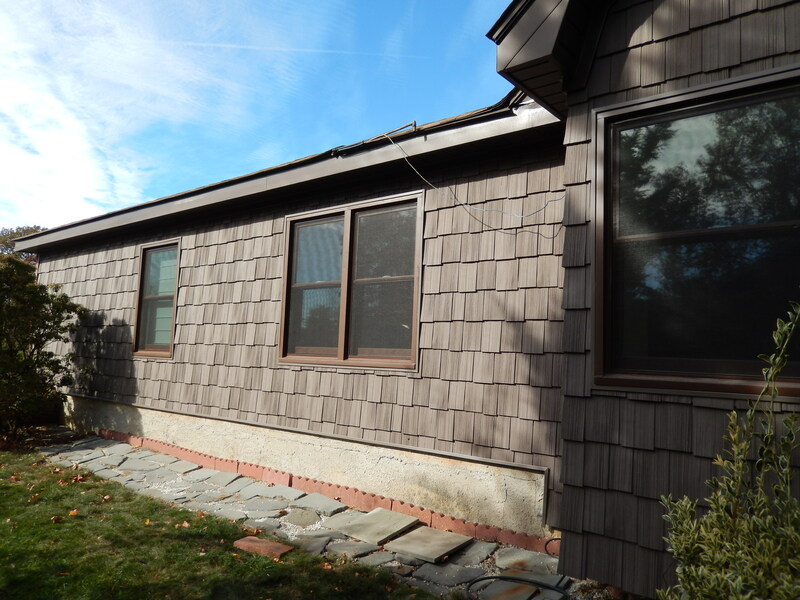 Installing roofing, building wrap, siding, flashing, skylights or solar tubes and making sure they are in good condition on an existing building. 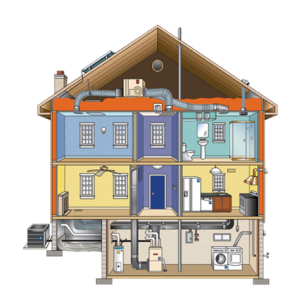 Installing insulation in walls, floors, and ceilings, around ducts and pipes, around water heaters, and near the foundation and sill. Replacing old drafty doors with tightly sealing, insulated entry doors. 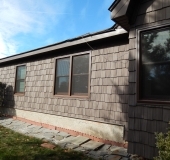 Replacing older windows with high efficiency replacement windows. 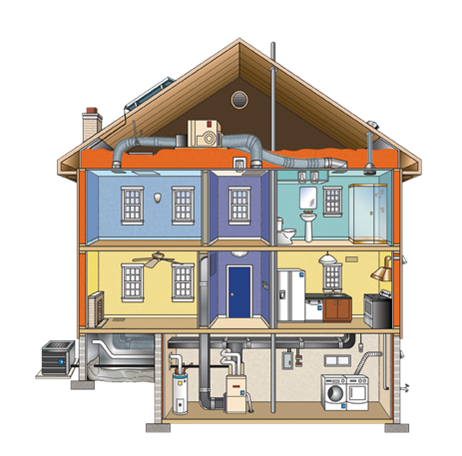 The phrase “whole-house weatherization” extends the traditional definition of weatherization to include installation of modern, energy-saving heating and cooling equipment, or repair of old, inefficient equipment (furnaces, boilers, water heaters, programmable thermostats, air conditioners, and so on). The “Whole-House” approach also looks at how the house performs as a system.